Bitcoin's volatility was on full display Wednesday when its price swung in a dramatic fashion. A new venture involving institutional heavy hitters from across banking, trading and energy sectors is tapping into the Ethereum blockchain to settle commodity trades. Headquartered in Switzerland, the initiative called komgo SA brings together ABN AMRO, BNP Paribas, Citi, Crédit Agricole Group, Gunvor, ING, Koch Supply & Trading, Macquarie, Mercuria, MUFG Bank, Natixis, Rabobank, Shell, SGS and Société Générale. The company has recruited team members from Easy Trading Connect 1 and Easy Trading Connect 2, two blockchain-powered pilots for trading energy and soft commodities. Seeing as the new settlement platform will be built on Ethereum, the venture has struck a development partnership with Ethereum incubator ConsenSys, as well. “We are now entering a new era of simple and inclusive access to blockchain technology to advance stronger, more collaborative, business relationships previously out of reach. We are thrilled to see leading commodity trade finance banks and commodity houses come together to create komgo SA, which will radically simplify and accelerate trustworthiness, auditability, and accessibility to trade financing across the industry,” Joseph Lubin, co-founder of Ethereum and founder of ConsenSys, stated in the official announcement. In digitizing the settlement process, a platform like komgo SA could streamline commodity trading, cutting through the paper-laden procedure that is required for these assets to change hands. The venture hopes to release its two flagship products by year’s end. One of these will set standards for know-your-customer (KYC) verification for its users, wherein “the exchange of documents will be executed in an encrypted way over the blockchain on a need to know basis.” The second product will be a digital letter of credit that will allow institutions to “submit digital trade data and documents” to any bank that has onboarded the platform. The orders were issued on September 18, 2018, against DGBK Ltd., an offshore digital “bank” that claims to have developed a hack-proof custody solution for digital assets and virtual currencies; Coins Miner Investment Ltd., a Russian cryptocurrency investment promoter; and Ultimate Assets LLC, a purported cryptocurrency and foreign exchange trader. Based in Russia, Coins Miner extracts money from U.S. residents under false pretexts, pretending to act on behalf of Coinbase, the San Francisco–based crypto exchange platform. According to the Emergency Cease and Desist Order, it does this by sending spam emails impersonating Coinbase, deceiving investors into handing over their money by leveraging the brand image of the digital asset platform. The order further specifies that a certain Ana Julia Lara, acting on behalf of Coins Miner, falsely claims to work for Coinbase as a crypto trader. To this end, she also sends out a photograph to investors purportedly showing her with the president of Ripple, whereas the person in the photograph was actually a vice president of Cointelegraph Media Group. Claiming to operate out of the U.K., Coins Miner is actually based in the Russian city of Volgograd, and it makes several fraudulent claims on its website to prospective investors. On its website and in its marketing efforts, the company also deliberately misrepresents a video of a Fortune journalist to make it seem as though its offering is being promoted. In addition, it uses stock photographs to represent its team and its office deceitfully. Under Texas law, the investments promoted by Coins Miner are classified as securities, but they are not registered to sell securities in the state. Belize-based DGBK claims to have developed a hack-proof custody solution for digital assets, and it solicits funds to develop this concept. Claiming to be at work on a so-called Photon Encrypted Ledger Key, a digital wallet that can be opened using biometric data, the company claims that it can facilitate fully anonymous and untraceable transfers of cryptocurrencies and fiat currencies like the U.S. dollar. Using a misappropriated video of Barack Obama speaking at the 2016 South by Southwest (SXSW) Interactive festival in Austin, DGBK offers prospective investors the opportunity to invest in the DGBK token with promises of up to 1,900 percent returns following the ICO, set to be held next year. The company claims to have on its payroll a litany of cybersecurity experts and blockchain specialists without offering any proof to support these claims, and it also offers securities for sale without following the necessary registration requirements. Claiming to be based in Arlington, Massachusetts, but with no provable address, Ultimate Assets promises investors that an investment of $1,000 will turn into $10,000 within just three weeks. It also falsely claims that all initial investments in the trading program are fully indemnified and that refunds will be issued in the event of failure to yield profits. 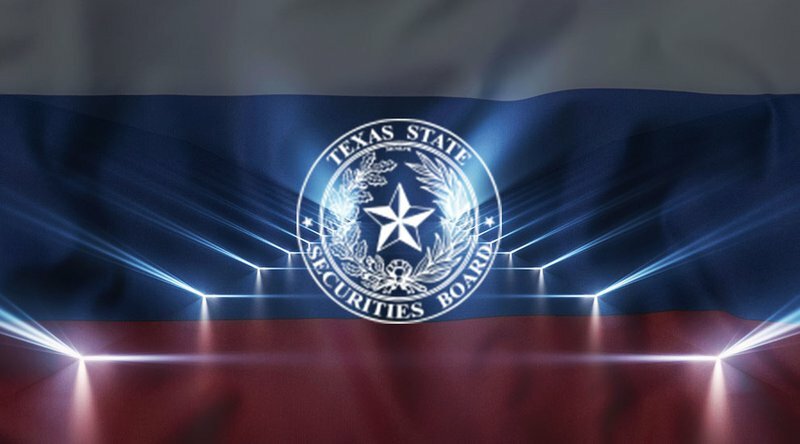 Its principals listed in the Cease and Desist Order are also accused of violating the Texas Securities Act by offering securities investments without being registered with the Securities Commissioner. An abnormally severe bug has been discovered in bitcoin's software, with possible ramifications for lightning users. PNC Bank's Treasury Management division is to begin accepting cross-border transactions using Ripple's xCurrent product. Following a successful launch in California only a few months ago, the U.S. branch of cryptocurrency exchange OKCoin is adding five new coins to its listings. Those coins include Ripple (XRP), Cardano (ADA), Stellar lumens (XLM), Zcash (ZEC) and 0x (ZRX). OKCoin made the announcement today, September 19, 2018. 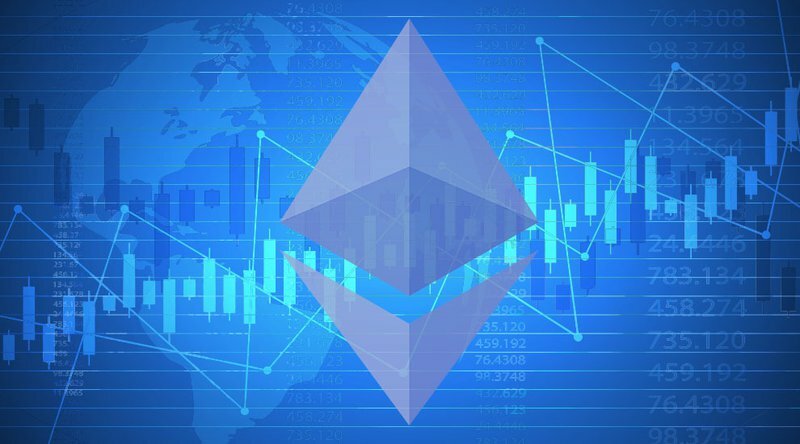 The new coins will be paired with the U.S. dollar, bitcoin and ether, the native cryptocurrency of the Ethereum platform. Trading against fiat pairs will be available to California residents only, while crypto-to-crypto pairs will be available in California along with 20 other states across the U.S. The moves comes at a time when the exchange is aggressively growing its business in the U.S. OKCoin originally set up shop in Mountain View in November 2017. In June 2018, the company relocated to San Francisco, and the following month, it officially announced its presence in the U.S. when it began offering trading between the U.S. dollar and several major cryptocurrencies. Just a week ago, after getting the green light from U.S. and state regulators, OKCoin opened up crypto-to-crypto trading in numerous other states. The exchange itself has a long history. One of the oldest crypto exchanges, OKCoin was originally launched in China in 2013. At the time, China was considered the world’s hub for bitcoin trading, and OKCoin became one of the three biggest exchanges in the country, alongside Huobi and BTCC. OKCoin originally focused on bitcoin-to-yuan trades. To attract a crowd of more professional traders, the following year, the company launched OKEx, which offered hundreds of token-to-token trading pairs. The setup is similar to how Coinbase, a popular cryptocurrency exchange in the U.S., operates Coinbase Pro (formerly GDAX). China’s cryptocurrency trading business took a hit when the Chinese central bank began regulating bitcoin starting in December 2013. In September 2017, the People’s Bank of China lowered the final curtain when it issued an all-out crypto trading ban in the country. In the past 18 months, OKCoin was also deeply affected when regulations kept it from providing service in nine other countries. Today, OKEx is listed on CoinMarketCap as the second-largest exchange by trading volume, but looks can be deceiving. Critics argue that the exchange is a virtual “ghost town” and 93 percent of trading volume is fake. In an attempt to regain some of its former glory, OKCoin International relaunched in April 2018, with an eye on the U.S.
Due to regulatory uncertainty in the U.S., it may run into some old, familiar roadblocks. If the U.S. Securities and Exchange Commission (SEC) rules that Ripple, Ada and other popular coins are securities and subject to the same regulatory oversight as stocks, OKCoin will have to either severely limit its offerings or register with the SEC as a broker-dealer or move to become a licenced alternative trading system (ATS), sort of along the lines of what Coinbase is aiming for and what Circle is doing with Poloniex. Bitcoin apostate Mike Hearn and his R3 colleague Richard Gendal Brown view the enterprise blockchain game as, if not quite zero-sum, something close. Bitcoin has again entered range-bound trading following a defense of $6,200 yesterday. Tim McCourt, managing director of CME Group, has said that bitcoin futures are not to be blamed for the slump in the crypto market this year. The UK's Treasury Select Committee released a report into crypto assets on Wednesday. The report called the space a "Wild West" and calls for anti-money laundering and consumer protection regulation. But the report doesn't dismiss crypto altogether and said the UK could become a global centre for crypto if it regulates it right. 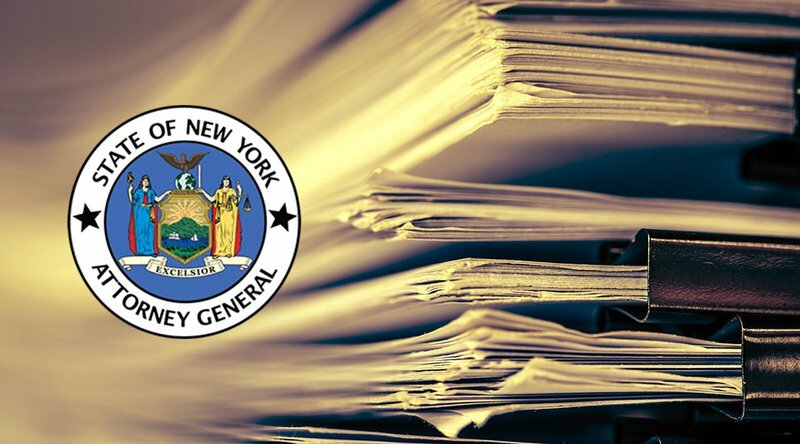 The New York Attorney General's Office has also released a report on crypto exchanges, warning on conflicts of interest, consumer protection, and abusive trading practices. LONDON — A report from an influential committee of UK politicians has called for regulation of "wild west" crypto assets. 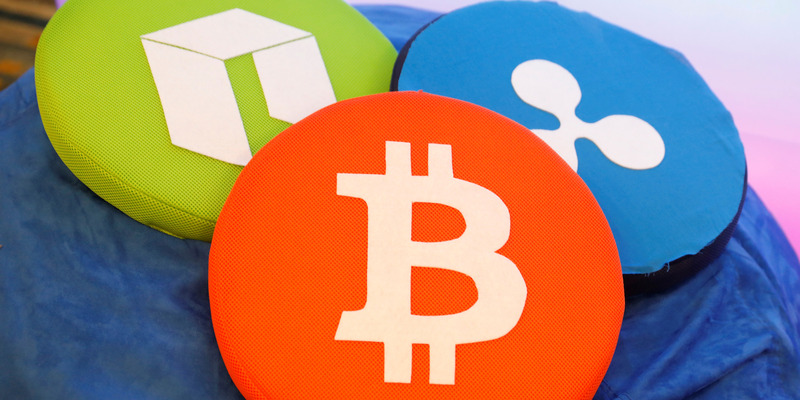 Parliament's Treasury Select Committee published its report on crypto assets on Wednesday. It said the space needs anti-money laundering regulation and possible consumer protection rules. Nicky Morgan MP, chair of the Treasury Committee, said in a statement: "Bitcoin and other crypto-assets exist in the Wild West industry of crypto-assets. This unregulated industry leaves investors facing numerous risks. "Given the high price volatility, the hacking vulnerability of exchanges and the potential role in money laundering, the Treasury Committee strongly believes that regulation should be introduced. "It's unsustainable for the Government and regulators to bumble along issuing feeble warnings to potential investors, yet refrain from acting. At a minimum, regulation should address consumer protection and anti-money laundering." The report also argued that cryptocurrencies like bitcoin are not in fact currencies but speculative assets. MPs pointed to the large price volatility in the market as one of the factors undermining bitcoin's claim to be a currency. Despite highlighting significant risks in the market, the report did not rule out the UK becoming a home for crypto assets and crypto asset businesses if regulation is put in place. Morgan said: "If the Government decides that crypto-asset growth should be encouraged, appropriate and proportionate regulation could see the UK become a global centre for this activity." Crypto exploded in popularity last year as the price of bitcoin surged against the dollar. However, the entire market has crashed around 80% since its peak. Separately, the New York Attorney General's Office published an investigation into crypto trading platforms on Tuesday evening. The report found potential conflicts of interest in the market, a lack of consumer protection, and said platforms have made little effort to crack down on abusive trading. Business Insider has highlighted the prevalence of so-called "pump and dump" scams on secondary exchanges in the past. Don Wilson, founder of DRW, the Chicago-based high-speed trading firm, discusses his history with cryoto assets and the trends he's seeing in Asia. Digital currencies pose a "litany of risks" and investors have little protection, says an MPs' committee. In April 2018, former New York Attorney General Eric Schneiderman sent off inquiries to more than a dozen cryptocurrencyexchanges to learn more about their internal operations. Now, after months of investigation, the New York Attorney General’s office has made its findings public. A report titled “Virtual Markets Integrity Initiative,” released on Tuesday, September 18, 2018, confirms what many already know to be true: Many cryptocurrency exchanges do not have proper consumer protections in place and are often targets for market manipulation. The report highlights three broad areas of concern. First, exchanges dabble in several lines of business that would normally be carefully monitored in a traditional trading environment. Platforms often simultaneously offer a venue of exchange, perform a role similar to broker-dealers, and act as money transmitters. At the same time, many also have their own large crypto holdings and even issue their own cryptocurrencies. “Each role has a markedly different set of incentives, introducing substantial potential for conflicts between the interests of the platform, platform insiders and platform customers,” the report states. As an example, the report points out that exchange employees often trade on their own platforms, even though they may have access to information about future trades or upcoming coin listing. Second, the report claims that many exchanges make little or no effort to halt abusive trading activities. 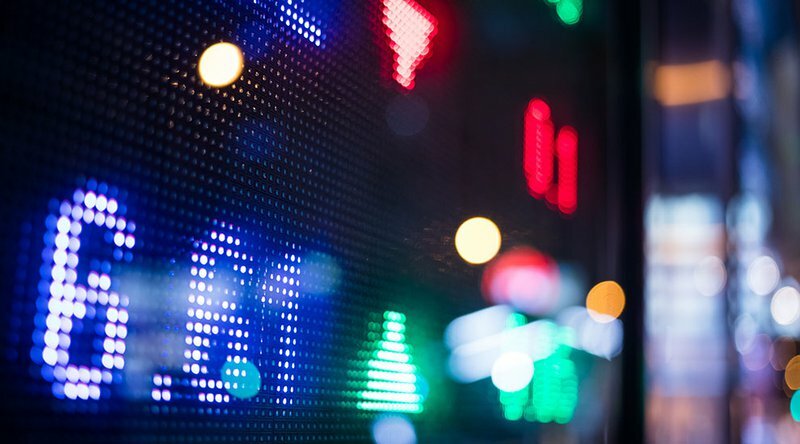 “Platforms lack robust real-time and historical market surveillance capabilities, like those found in traditional trading venues, to identify and stop suspicious trading patterns,” the report says. Concerns over market manipulation in cryptocurrency exchanges have been popping up again and again. In thinly traded markets, it becomes very easy for so-called “whales” or large holders to move the price of bitcoin, or any cryptocurrency, in whatever directly they want. The report comes at a time when the U.S. Justice Department is investigating crypto market manipulation, and the Securities and Exchange Commission (SEC) has rejected numerous bids for bitcoin exchange-traded funds (ETFs) on the basis that cryptocurrency markets are simply too vulnerable to fraud and manipulation.